Asian Americans are the fastest-growing racial group in the United States, but despite their rapid growth and remarkable diversity, Asian Americans remain an understudied group whose experiences and attitudes are not reflected in national polls. To address this gap, the National Science Foundation (NSF) has awarded a multi-campus team of researchers, including the University of Maryland, a $507,132 grant to undertake the most extensive study of Asian Americans to date. 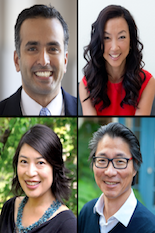 The team includes Janelle Wong, professor of American Studies and director of the Asian American Studies Programat the University of Maryland; Karthick Ramakrishnan, associate dean of public policy and professor of political science at UC Riverside; Jennifer Lee, professor of sociology at UC Irvine; and Taeku Lee, professor of political science and law at UC Berkeley. “Funding from the National Science Foundation shows that research on Asian Americans is becoming more of a national priority,” said Wong, co-principal investigator on the project. The study will expand upon the National Asian American Survey (NAAS), which was founded in 2008 and repeated in 2012. The NAAS is a scientific and nonpartisan effort to poll Asian Americans and Pacific Islanders, and is the only nationally representative academic survey of this population. NAAS 2016 will focus on three core themes: (1) immigrant and second-generation incorporation; (2) race and ethnic relations and attitudes; (3) civic and political participation. Findings from the survey, which will be released in 2017, will provide an accurate portrait of the Asian American population, dispel myths, and correct misconceptions about the group. Researchers will survey approximately 3,600 individuals representing the six largest U.S. Asian ethnic groups, who account for more than 80 percent of Asian American adults – Asian Indian, Chinese, Filipinos, Koreans, Japanese and Vietnamese. The telephone survey will be conducted in at least 11 languages, which is critical since over 70 percent of Asian Americans were born outside the United States. Participants will be asked about personal experiences and attitudes related to immigration to the United States, inter- and intragroup relations and attitudes, civic and political involvement, party affiliation, voting behavior, health and financial status, racial and ethnic identification, discrimination, stereotypes, beliefs about racial and class-based inequality, and affirmative action. Between 2000 and 2010, the Asian American population grew at a rate of 46 percent, compared to a 10 percent growth rate for the overall U.S. population. Asian Americans and Pacific Islanders continue to exhibit the fastest population growth rates, and now number over 20 million residents, or more than 6 percent of the U.S. population. “The Asian American population is rapidly growing and changing, and with NAAS, we have a unique opportunity to study dynamics like intra-racial attitudes. Never before has a survey focused on how Asian ethnic groups view each other, and how they construct an Asian ethnic hierarchy,” said Jennifer Lee, co-principal investigator on the NSF-awarded project. The study of Asian Americans essential to our understanding of social, legal, and economic processes like immigrant and second-generation incorporation, inter- and intra-group attitudes, racial formation and change, and civic and political engagement. The researchers plan to conduct their study in 2016 and release the data to the public in summer 2017.